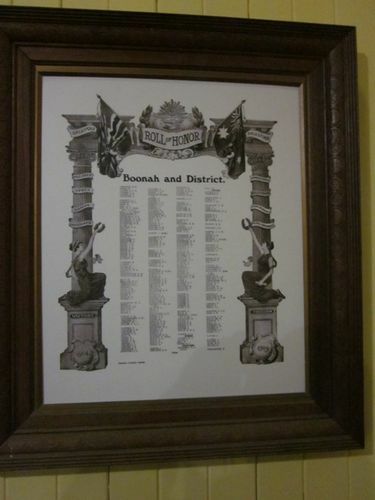 Printed Honour Roll lists those from Boonah and District who served in World War One. The roll is a decorated arch which contains the battle campaigns down the columns sides. Two females holding wreaths are on either side of the columns with the words "Victory" one one side and "Freedom " on another.